Translator’s note: The study of the humanities has become a major focus of Iranian university students during the past decade. Over half of Iran’s 3.5 million university students are enrolled in various branches of this field. In order to combat the effects of this field of study on the minds of young students, the Iranian government has launched a campaign against the humanities. At the recent shows trials of reformists, the prosecution specifically attacked western philosophers and academics for supposedly having instigated the latest protest movement. On August 30, Ayatollah Khamenei also addressed a gathering of professors and university administrators with a stern warning. He blamed the humanities for Iranian students’ “lack of faith,” and called on professors to “identify the enemy” and to revise this field of study. Below is a response from a student at Amir Kabir University in Tehran. Amir Kabir University has been the site of several important human rights protests during the past few years. Fatemeh Sadeghi has a PhD in political science and has taught at the Islamic Azad University of Karaj near Tehran. 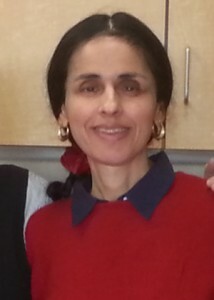 Soon after the publication of her controversial article, “Why We Say No to the Compulsory Hijab” in May 2008 ( see translation available on this blog at http://iranianvoicesintranslation.blogspot.com/2009/07/fatemeh-sadghi-is-assistant-professor.html ), she was suspended from her teaching post at the University of Karaj. In the article below, she takes a strong stand against the fraudulent June 2009 presidential election and presents a brief sociological analysis of changes in Iranian society during the past 30 years. Excerpts follow.